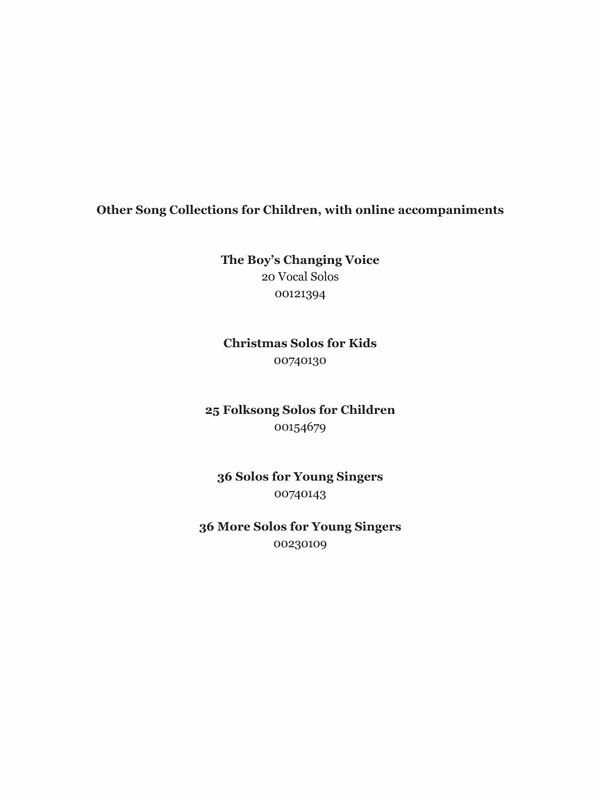 Designed to encourage lyrical singing in a young person's voice. 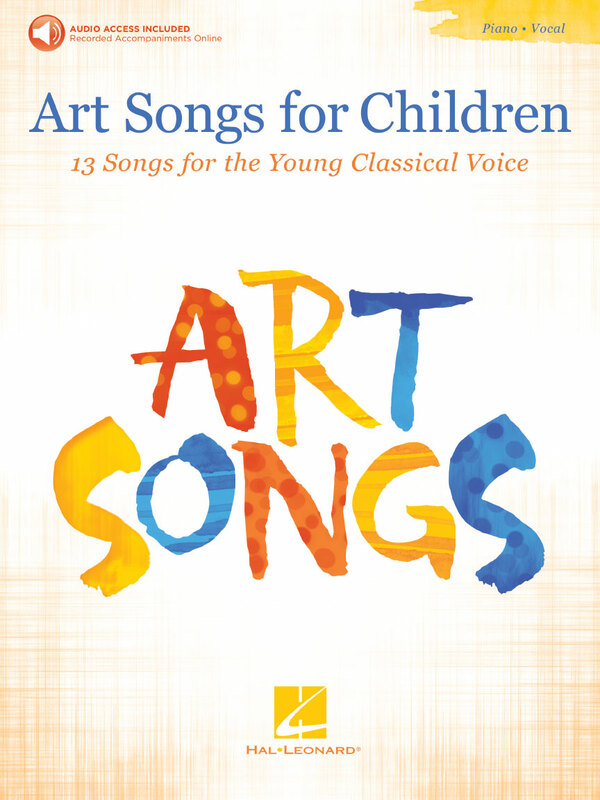 All art songs were chosen for the typical child's treble voice up through about the age of 12 or 13; with its vocal capabilities and range in mind. 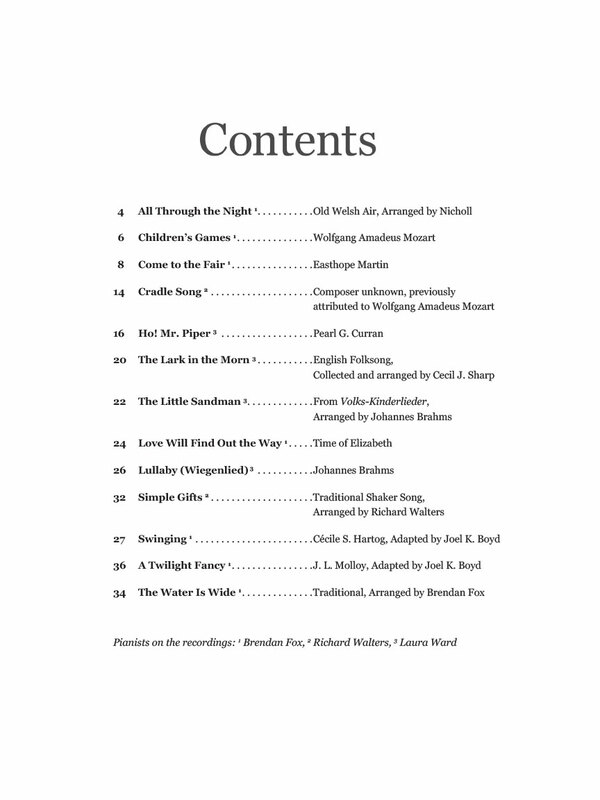 Also included are folksong arrangements in the spirit of art songs. 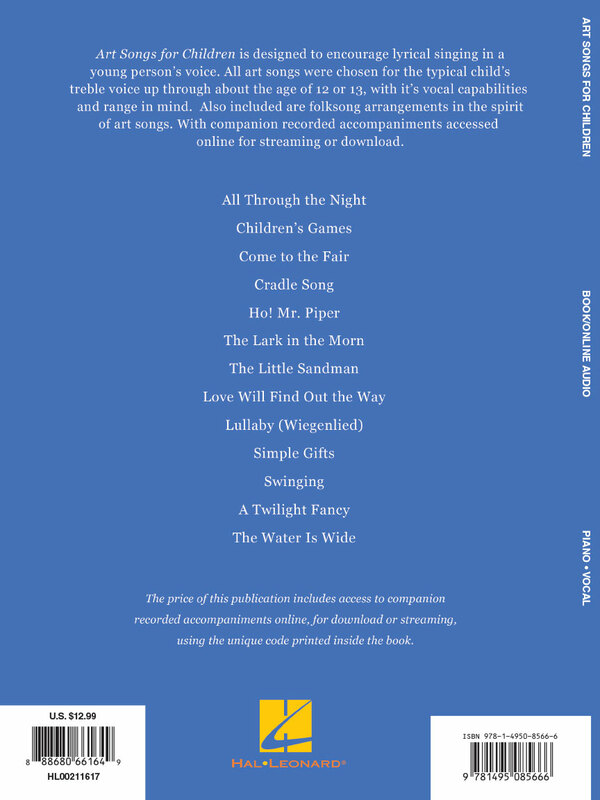 With companion recorded accompaniments accessed online for streaming or download. Songs include: Come to the Fair • Cradle Song • Simple Gifts • A Twilight Fancy • The Water Is Wide • and more.